The film is set in the 1950s in small-town Georgia, where a pregnant con woman is on the run and seeks refuge in a convent hidden in deafening isolation. What first starts out as the perfect place to have a child turns into a dark layer where silence is forced, ghastly secrets are masked, and every bit of will power Agatha has is tested. She soon learns the sick and twisted truth of the convent and the odd people that lurk inside its halls. 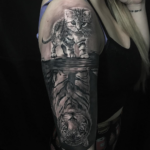 Agatha must now find a way to discover the unyielding strength needed to escape and save her baby before she’s caged behind these walls forever. 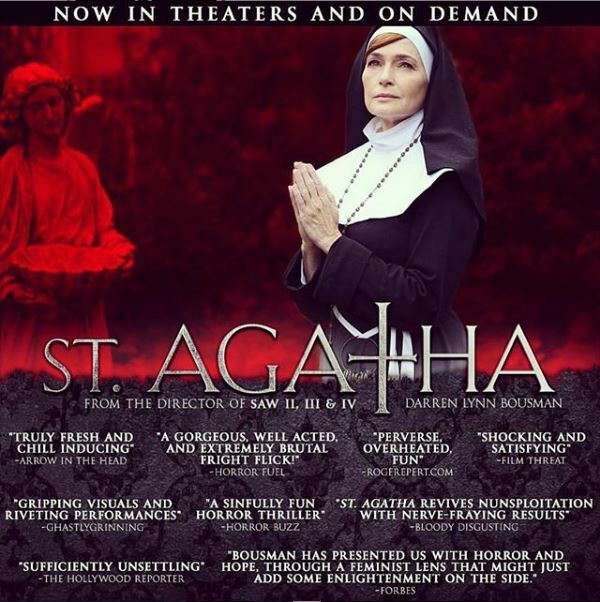 ST. AGATHA was directed by Darren Lynn Bousman (Saw II, III, IV) and produced by Sara Sometti Michaels, Srdjan Stakic (The Operative) and Tara Ansley (Tragedy Girls)/ The film was executive produced by Kevin Traier, Rick Le and Seth Michaels.